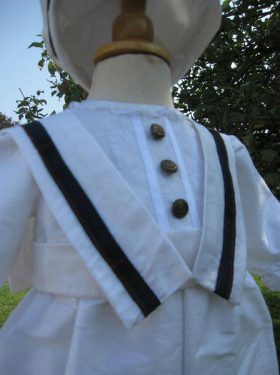 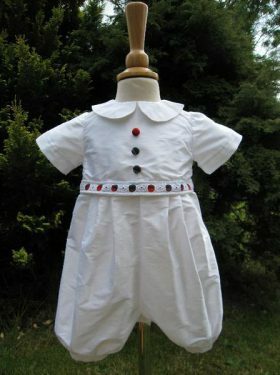 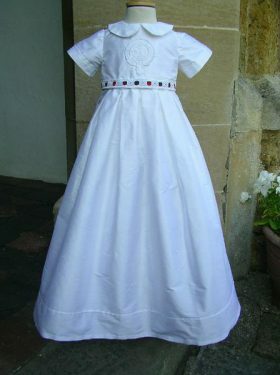 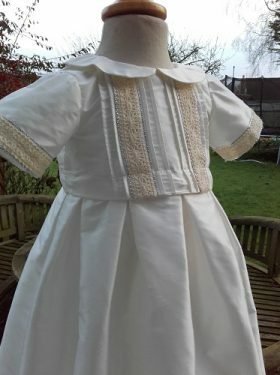 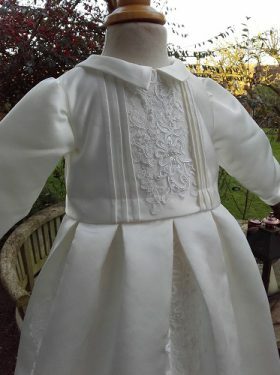 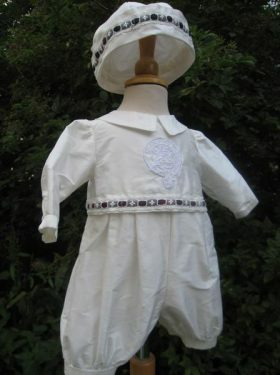 Little Doves is really proud of its Scottish Christening Outfits for Boys, in particular, the christening rompers that we offer on this page. 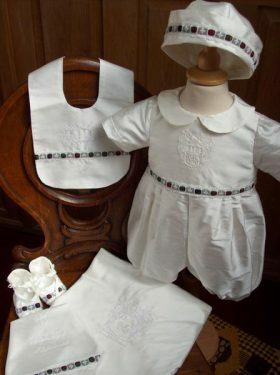 Ancestry plays a key part in many of these garments with bodices bedecked with hand embroidered crests, coat of arms and belt badges on many of our designs. 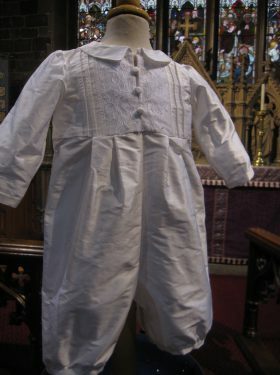 Take a look at our little Euan Christening Romper to see the effect of a hand-embroidered crest. 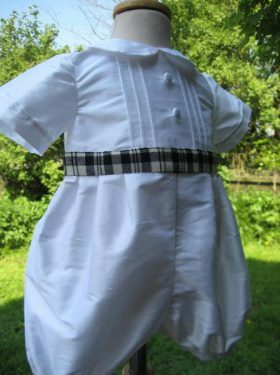 All the outfits contain tartan, some have the tartan inserted through lace and running along the waistband like some of our other� Christening Rompers, others have a more definite tartan band. 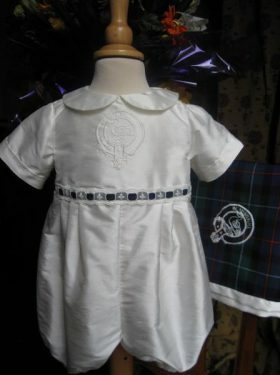 We are able to embroider any crest or Coat of Arms and can also supply any tartan. 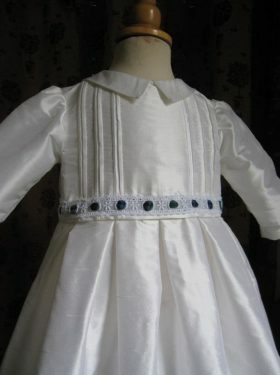 For further details please contact us.